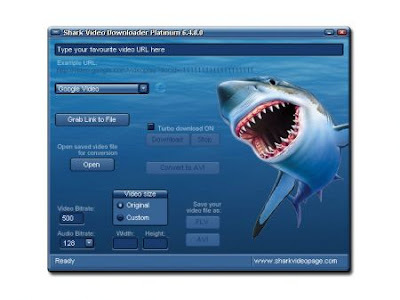 Shark Video Converter Gold - is a powerful, easiest and fastest video converter application for converting all popular video formats into AVI movie and video with excellent output quality. AVI files and then can be played in Windows Media Player or other standard multimedia player. With integrated advanced MPEG4 encoder, it is faster than other converter software. Avi files and then can be played in Windows Media Player or other standard multimedia player.